This isn’t a review. Just sharing my thoughts on the movie, having watched it early. Another thing to note, there’ll be little to no pics, because it’s not out yet, and as such, I might not find the scenes I want. Okay, so I’ll start off with a spoiler-light summary of the story. A genetically engineered dinosaur (Indominus Rex) escapes its cage after the setting is established, and the rest of the movie is spent trying to hunt it down. There are two sub-plots, one pertaining to the morality and applications of genetically engineering dinosaurs, and the other about the treatment of dinosaurs and the viability of having a relationship with them. Sounds exciting, doesn’t it? The park itself stands on the same grounds as the previous Jurassic Park, and there are various nods towards the past movies. 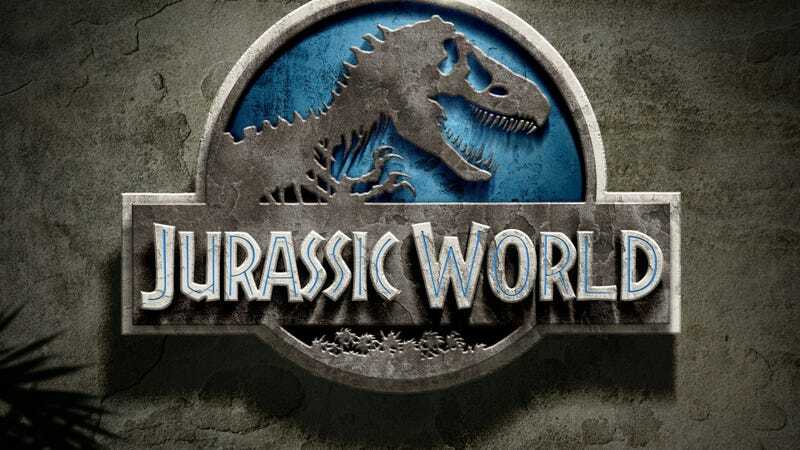 The main cast, including Chris Pratt (Owen Brady), Bryce Dallas Howard (Claire), Nick Robinson (Zach) and Ty Simpkins (Gray), performed admirably, with Zach and Gray providing being our main source of Jurassic World Action, Claire their ‘loving’ aunt, and Owen the ‘Dino Whisperer’. In fact, there’s yet another sub-plot, about human relationships, especially between Zach and Gray, while there’s another one between Clair and Owen. (duh) The first thing to point out is : I don’t find myself being able to give a damn about those feelings. Zach and Gray have the normal kind of relationship expected of siblings, a love-hate relationship. Zach’s placed in the role of older brother, protecting Gray, and in a lot of situations, he has to re-affirm that. But at the same time, Zach bullies Gray a bit. That’s to be expected, so it’s okay. Now on the surface it seems okay, but the actors didn’t make me feel that way. Once, Gray remarked how their parents seemed to be getting a divorce, but how is that relevant to the story? If it were to be taken as a minor point of conflict, it would have to be mentioned again and again, but somehow it’s totally forgotten after the fact. And another big point of disbelief is how they managed to fix a jeep while stuck inside the park. Yeah, you fixed your granddad’s antique, but how would you do that in a jungle, on a 20-year old derelict jeep? With Owen being the ‘badass’ dinosaur wrangler, and Claire the control freak, its not difficult to see their relationship coming a mile away. I did not like the fact that they tried to shove a romantic sub-plot in, much less the fact that it’s a really cliche “rugged dude shows up stuffy ball-busting business lady and shows her how to do stuff right into her theoretical pants”. The relationship between those two brothers is fine, but the fact that Claire’s sister, the boys’ mom, tries to convince her to have children, and her falling in love right after, is too good to be true. The action sequences are small and numerous, instead of giant pieces. They work relatively well, and serve to propel the plot forward better than giant pieces would. But the final battle between Dino and Dino was insane and totally awesome. I mean, using a T.Rex to fight the Indominus Rex is just the thing to draw in people. And come on. Dinosaurs, man. Of course, you can’t expect a movie about gigantic predators without the ‘its right next to me’ scenes, and there are a whole bunch, which start to get boring real quickly. Time and time again, Owen manages to find himself in a situation where the Indominus Rex is right next to him, but of course, he always gets away with it. And then there’s the man-eating part. Jurassic World brings a whole new and more literal meaning to those words. Compared to the previous movies, the amount of man-eating would have gone up about a 1000%. Yeah. It’s highly violent and there’s a large amount of blood everywhere especially near the end, though it’s not really unexpected. In the end though, Jurassic World tries hard to be smart, and while it does show signs of it, it generally should still be taken as an action flick, akin to Pacific Rim. But of course, you should still watch it.